The outcome of the FIA Formula E Championship was decided at the final round in London. Sam Bird (Virgin) won the last ePrix of the season, whilst the all-electric series’ inaugural titles were won by Nelson Piquet (Nextev TCR) and e.dams-Renault. 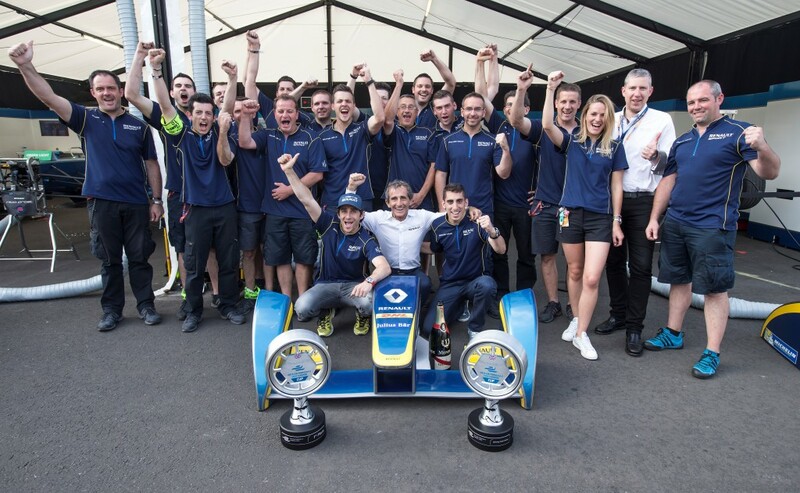 At the end of the London double-header, the team led by Alain Prost and Jean-Paul Driot saw its drivers Sébastien Buemi and Nicolas Prost finish in second and sixth position respectively. All the drivers and teams will now be stepping up their preparations in order to be ready for the start of the second season, which kicks off this coming autumn in Beijing. Technical partner of the all-electric series, Renault Sport Technologies saw the 40 Spark-Renault SRT01_E – the architecture of which it has supervised throughout the year – conclude their campaign in London’s Battersea Park. Renault has done its job to perfection this season, demonstrating time and again its expertise in ensuring all ten teams benefitted from an equal chance of winning in reliable, safe and fast single-seaters. It has also supported the stewards in getting to grips with the unprecedented procedures related to this new technology.